If you are anything like us, you are tethered to your smartphone. We don’t leave home without it, cant navigate our lives without it, and have a hard time remembering a world without them. How did we ever navigate to our favorite bars before Google Maps? How did we let people know we were mad at them before passive-aggressive Facebook status updates? I for one cannot imagine that world. I have a hard time believing most wars were not planned out through hours of very intense Angry Birding. The beauty of smartphones is that there is quite literally an app for everything you can think of. Truly, look at your app store and just type ANYTHING in, and more likely than not, an app will appear. 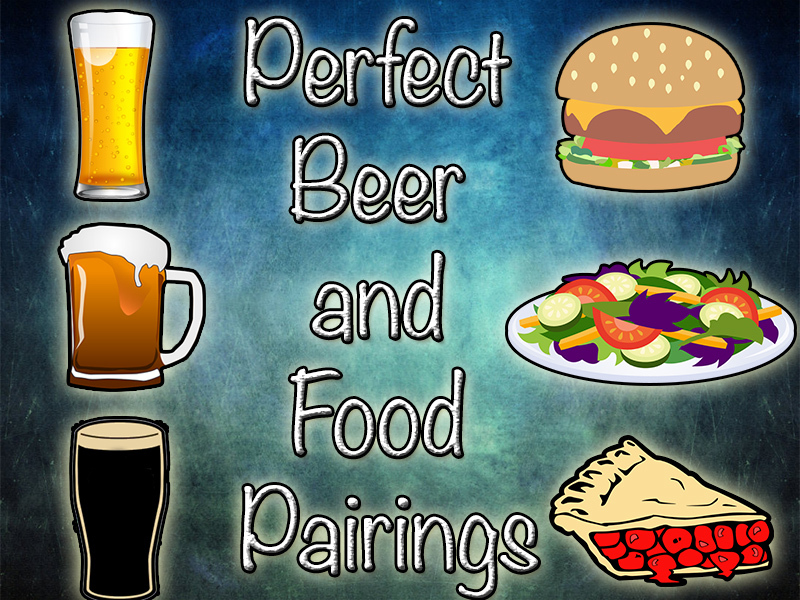 Luckily for us, craft beer is no exception to that rule. There are many high quality, very useful smartphone apps that help make your craft beer experience more interactive and potentially enjoyable. 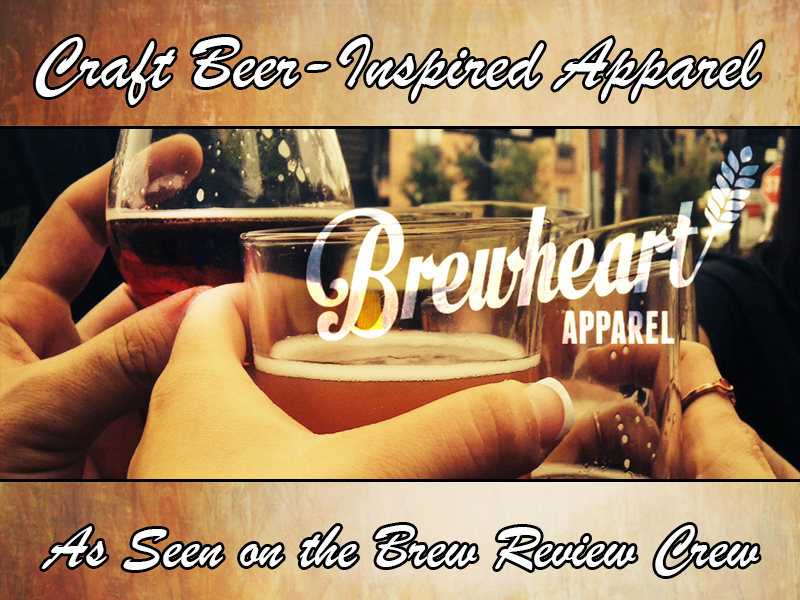 Today, I’d like to share with you some of our favorites, because let’s face it; Craft Beer? There’s an app for that. I thought I would start with my favorite craft beer app; Untappd. I discovered Untappd at my school’s orientation of my first day as a teacher, where I found that a few other teachers were homebrewers and lovers of craft beer. Thankfully, they introduced me to Untappd. You can check out my Untappd page here! 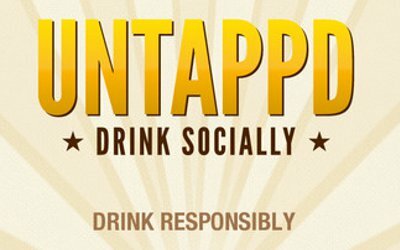 The premise behind Untappd is simple; Drinking should be social. 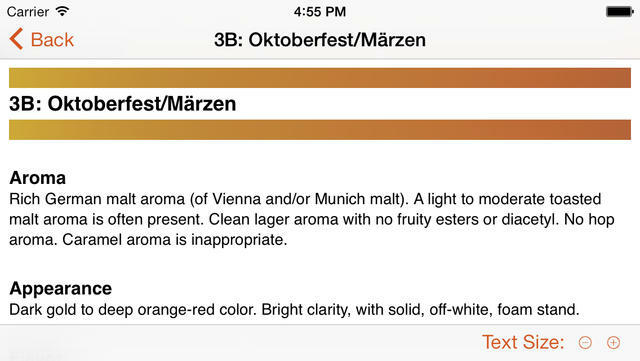 Untappd allows users to “check in” to whichever beer they are drinking, add a rating (out of 5), tasting notes, and even geotag the location at which they had the beer using Foursquare. The app doesn’t stop there, however. Untappd also has a “trending” feature in which the user can see which beers (both craft and macro) are currently most popular, beers that are being served in bars near you, and more! It truly is an awesome app. Much like Pokemon, Untappd has that crack-like addiction level. The app periodically rewards you with badges celebrating milestones and special dates of drinking. This operant-style conditioning keeps people coming back for more and more, and is truly genius. The social aspect comes in right as you open the app, where this is a feed of your friends and the brews they are enjoying, or not. You can post comments, toast their brew, and compare notes. I use Untappd almost daily, and it really has helped me keep a journal of what I’ve liked and disliked. Check it out today! While this next app is a lot less interactive and potentially less useful than Untappd, I still really enjoy it as a daily visit on my phone. Today’s Beer features a brand new craft beer every single day, ranging in every style imaginable. 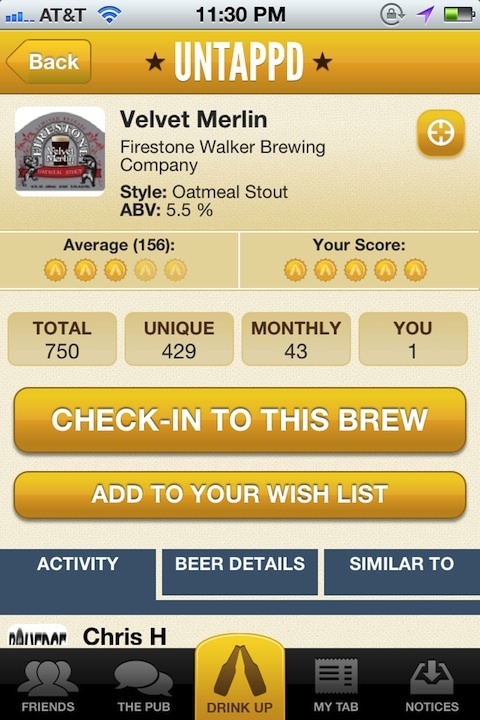 The app displays a beautiful HD photo of the beer in its bottle or can, and gives the name, brewer, ABV, and other important details about the brew. 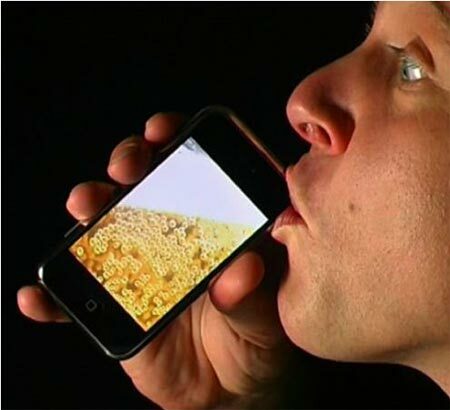 The app offers users a 360 degree view of the beer and even has an “in glass” view of how the beer looks inside its proper beer glass. 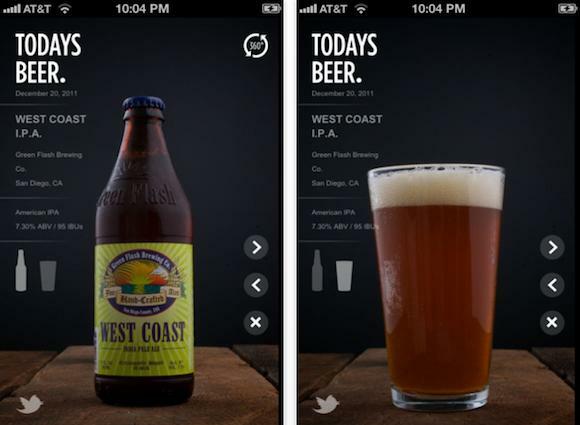 Users can also share Today’s Beer through their Twitter account. 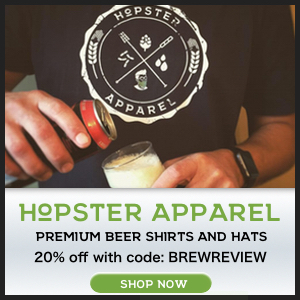 While Today’s Beer lacks the powerful features of Untappd, it is a boredom buster, gives great information, and broadens the horizon of the craft beer drinker by offering new choices, styles, and brands daily! This is a totally different type of app than the first two. This app is a reference guide rather than an interactive app. 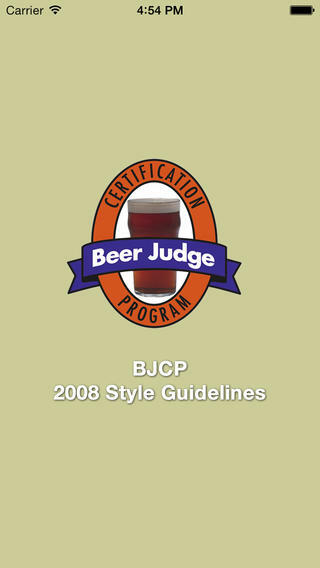 The BJCP is the Beer Judge Certification Program and they publish the definitive style guidelines used to judge and rate craft beer. These style guidelines are almost always the parameters judges rate beers by at the large beer competitions we have all heard of, including the GABF. This app is jammed pack full of useful information on dozens if not hundreds of styles and their sub-styles. Within this information, aroma, appearance, flavor, mouthfeel, overall impression, history, comments, ingrediants, vital/technical statistics, commercial examples of the style, and MUCH more can be found! It really is exhaustive and all encompassing in scope and I find it amazingly helpful. Why do I think this is a must-have? For one, it is free, so there is no risk in trying it out! Second, and more importantly, this app has helped me educate myself on what to look for in the flavors and styles of beer that I taste. 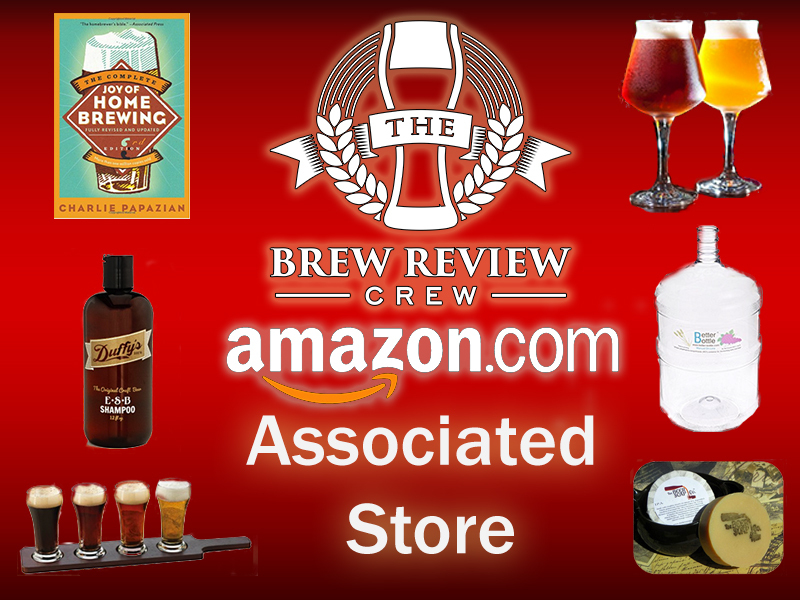 I use it when I am at my local bottle shop selecting new brews to drink, and especially when I am doing research into a brew before we review it for you! 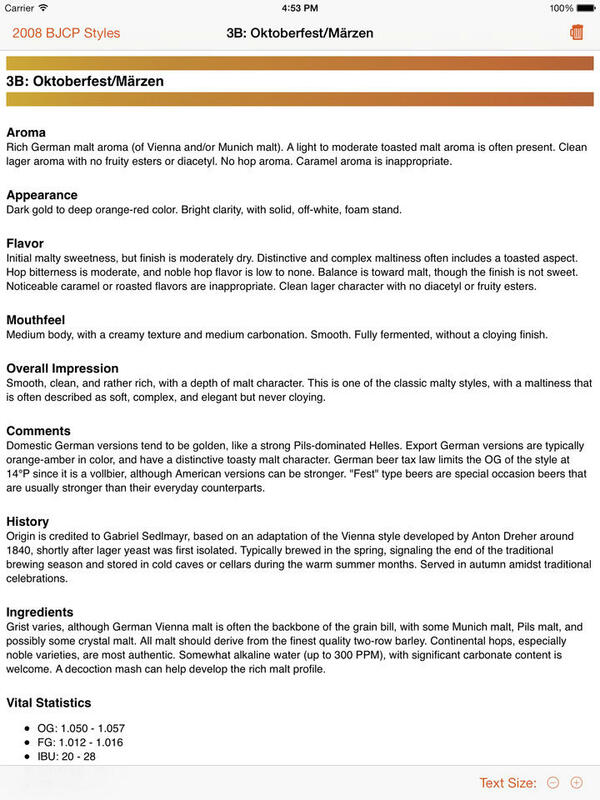 This helps us be a more informed Brew Review Crew and helps you determine if the beer you are drinking is “good” in terms of their style and projected flavors. This app is the new kid on the block, in terms of apps featured on our list. 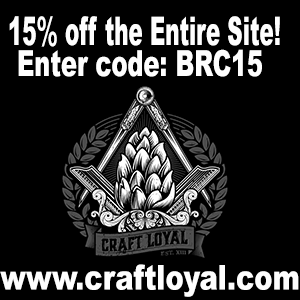 The idea is simple, yet helpful to the craft beer enthusiast. By now, you know that the craft beer market share has been steadily increasing year to year. This is a scary prospect for the Big Guys of macro brewing, so in response, many of these macros have begun opening up “craft-brands” of their own. Right away, Blue Moon and Shock Top come to mind, and while these beers may taste good and be fine beers on their own, the debate as to whether they are truly “craft beer” rages on. 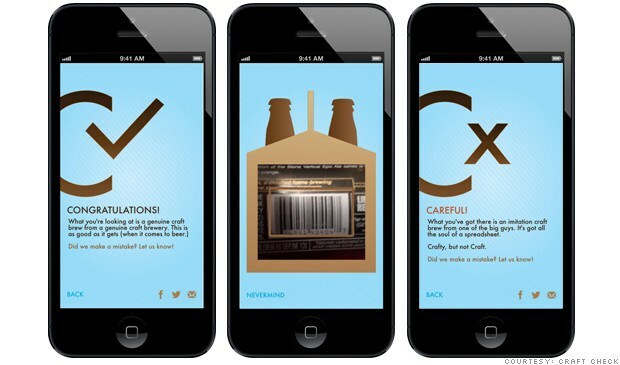 Craft Check’s purpose and goal is to help you, the consumer, wade through these murky craft waters and find the truly craft beers from the sea of “crafty”. 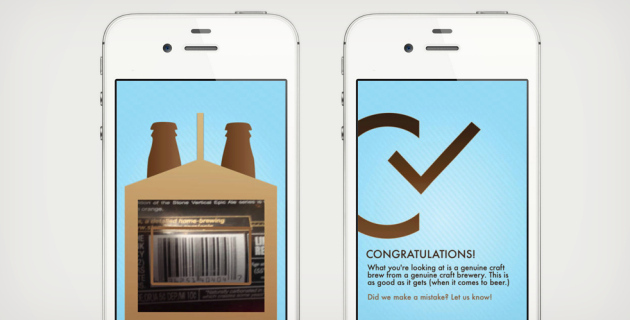 You pull out your phone, scan the questionable beer’s barcode, and in an instant you are given the results! Is this worth your $0.99? 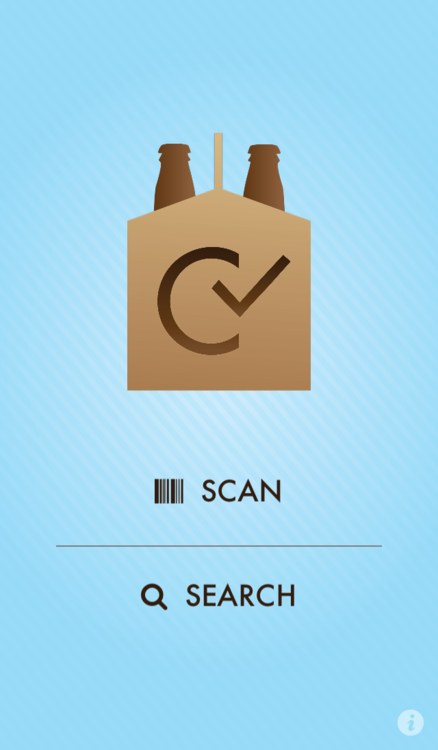 If you are deliberately trying to avoid “crafty” beers, then in my opinion, you need this app! 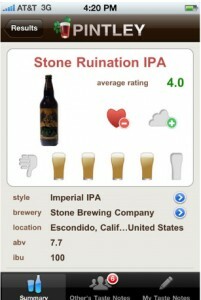 Pintley is a very similar app to Untappd. The user can search an extensive library of craft beers, make tasting notes (though Pintley’s are much more comprehensive and include key categories such as appearance, aroma and taste, rather than a simple star system like Untappd’s) social sharing, and trending beers. 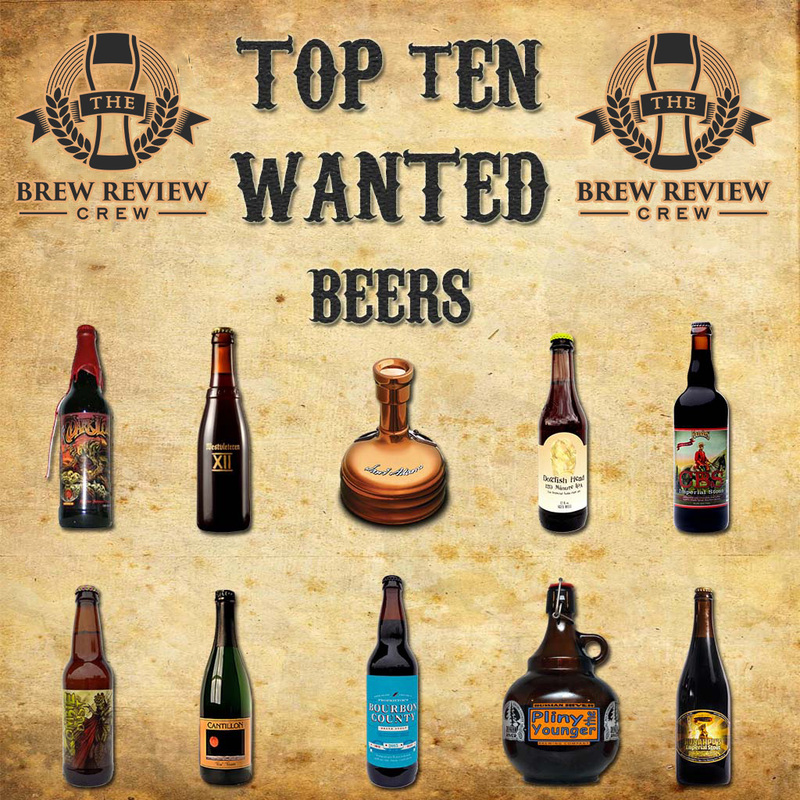 What sets Pintley aside is that it purports to “get to know you” and the beers you enjoy, and with that information, Pintley is able to recommend you similar beers that you are likely to enjoy based on your previous ratings! I have played with this app for a little while and I think it works well! Is it enough to take me away from using Untappd as my go-to beer app? Only time will tell! But the fact that it is free does not hurt Pintley’s chances! This app is for all of our homebrewers out there. 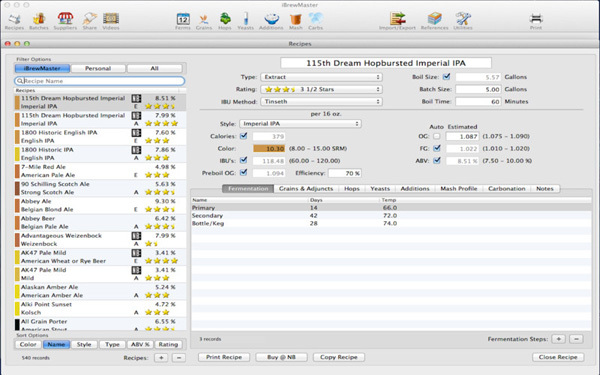 iBrewMaster is an all-in-one, very powerful homebrewing resource tool. Similar to BeerSmith for the computer, iBrewMaster is your one-stop shop for helping you craft that perfect brew on your own. If you do not have your own recipe in mind, iBrewMaster comes preprogrammed with hundreds of beer recipes spanning the globe and traversing all styles of beer. In addition to the preinstalled recipes, users are able to purchase about two hundred more. These are all customizable, of course (so you can put that personal touch on your beers). You quite literally may never need another resource for homebrewing recipes. iBrewMaster has a built in timer for each step of your brewing process so you are never left on your own. For someone who is just starting out, to the seasoned veteran who likes to use technology to make them the best brewer possible, iBrewMaster is sure to impress. Though the price is somewhat steep, it is more that justified with the extreme amount of resources made available to the user. Tap Hunter has the potential to be a very useful app, and is currently being supported by many craft breweries in America’s major markets. Tap Hunter allows users to find local bars that serve craft beers, and tell users exactly what they will find on tap when they get there. 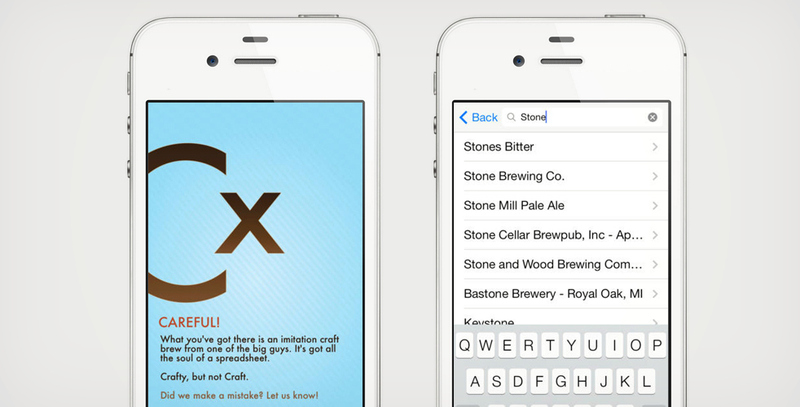 Users can also search by beer and find out where it is being served near them. The downside to Tap Hunter is that at its current state, it is only supporting ~30 markets, of which I live close (by 2 hours) to only one. Now if you live in one of these major markets, then you are all set. But unless you are traveling, this app may be useless to you. I do, however, think the potential for this being a great app for everyone is huge. Check it out! Do you use these apps on your smartphone? Do you enjoy them? Hate them? Have some other suggestions? Let us know in the comments below! 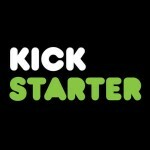 Seven Craft Beer KickStarters to Check Out!